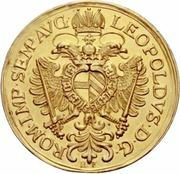 6 Ducat - Leopold I. 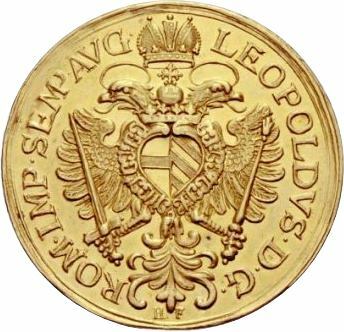 Crowned imperial double-headed eagle with arms on chest. 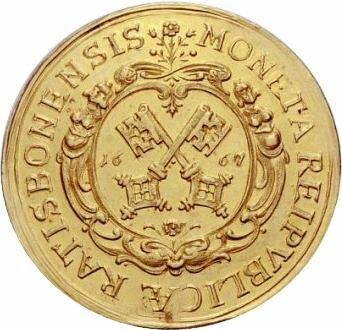 City arms dividing date within decorative frame. 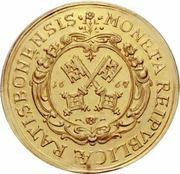 Catalog › Free city of Regensburg › 6 Ducat - Leopold I.